On April 21, embattled midstream operator Crestwood Equity Partners LP (NYSE: CEQP) bowed to the inevitable, slashing its quarterly distribution by 56 percent. But instead of selling off after this announcement, the stock surged by more than 50 percent. Along with this long-awaited distribution cut, the master limited partnership (MLP) announced the sale of a 50 percent equity interest in its natural-gas pipeline and storage assets in Pennsylvania and southern New York to a joint venture with Consolidated Edison (NYSE: ED). The $975 million deal provides Crestwood Equity Partners with cash to pay down debt, while cutting the distribution gives the MLP a cushion to weather volumetric declines and reduced cash flow from its midstream assets in the Barnett Shale, the Bakken Shale and the Powder River Basin. Besides an infusion of cash, the joint venture reduces the amount of capital that Crestwood Equity Partners would need to pursue future growth opportunities and gives a key customer a vested interest ramping up volumes on the pipeline and storage network. Whereas Crestwood Equity Partners’ stock price soared on the news, Consolidated Edison’s shares slipped almost 5 percent on the day the deal was announced. Skeptical investors worried about the cost of the investment and the risks of doing business with an MLP that had failed to make the most of these assets since acquiring Inergy LP. Fitch Ratings and Standard & Poor’s quickly affirmed Consolidated Edison’s credit quality, citing the transaction’s modest size—about 3 percent of the utility’s total debt. Cash distributions from the joint venture are expected to contribute roughly 2 percent of Consolidated Edison’s total earnings. In other words, even if this investment fails spectacularly, Consolidated Edison’s balance sheet and earnings won’t take a hard hit. However, if the joint venture lives up to modest expectations, the electric utility will have a new growth platform to take advantage of surging production in the Marcellus Shale and growing demand for natural gas in the Northeast. 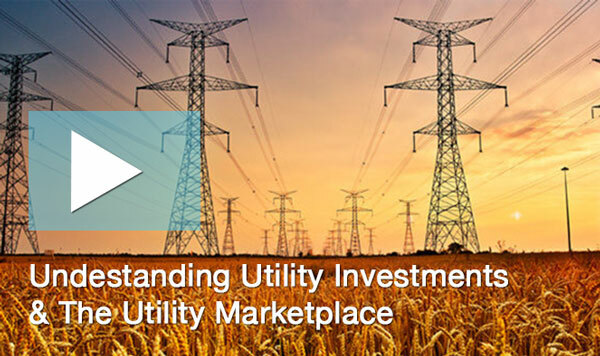 When the financial media discusses utility stocks, much of the focus centers on the Federal Reserve’s plans for interest rates and their implications for the returns generated by dividend-paying equities. But these tossed-off commentaries ignore how some of the utility sector’s best companies continue to take advantage of their low costs of capital to take advantage of three promising investment opportunities: growing demand for renewable energy and inexpensive natural gas and the parallel need for upgrades to the transmission grid. Consolidated Edison has exposure to all three of these themes, thanks in part to New York’s ambitious mandate to generate 50 percent its electricity from renewable sources by 2030. Achieving this target will require massive investment in solar power, as well as capital expenditures on the grid. New York’s push to shut down a portion of its nuclear power plants and coal-fired generation capacity should bolster demand for gas-burning facilities to supply baseload power. With Consolidated Edison deriving about 98 percent of its cash flow from regulated gas and electricity distribution franchises, grid investment will make the biggest contribution to earnings growth. The utility continues to benefit from residential and commercial customers converting from heating oil to natural gas. Management has also set a goal of installing smart meters for 3.6 million electricity customers and 1 million gas customers through 2022. Consolidated Edison will also allocate capital to a massive transmission project that will help to offset the electricity lost after the potential closure of Entergy Corp’s (NYSE: ETR) Indian Point nuclear power plant, which supplies almost one-third of New York City’s peak demand. And the electric utility has plans to roll out utility-scale solar power facilities and has partnered with SunPower Corp (NSDQ: SPWR) to deploy rooftop panels in New York City. Consolidated Edison’s joint venture with Crestwood Equity Partners likely won’t be the utility’s last foray into gas-related infrastructure. Nor was this investment the company’s first move in this direction. In January 2016, the utility inked a 20-year transportation agreement and took a 12.5 percent equity interest in EQT Midstream Partners LP’s (NYSE: EQM) Mountain Valley Pipeline project. The pipeline will connect natural gas produced in the Marcellus Shale to Williams Partners LP’s (NYSE: WPZ) massive TransCo system. The recent deal with Crestwood Equity Partners demonstrates how Consolidated Edison can leverage its position as a major demand-side customer with a much lower cost of capital to take advantage of distressed opportunities in the midstream space. Not only did Crestwood Equity Partners gave up half its ownership in some of its best assets, but Consolidated Edison will also receive 65 percent of the cash distributed by this joint venture in the first 24 months after the deal closes and 60 percent in the third year. This system links gas production from the Marcellus Shale to demand centers in New England and New York City and is expected to generate $145 million in earnings before interest, taxes, depreciation and amortization this year. The joint-venture partners have identified several investment opportunities to enhance this system’s capabilities in 2017 and beyond. And if Crestwood Equity Partners continues to struggle, Consolidated Edison could have the chance to increase its equity interest in the joint venture. The electric utility boasts a much lower cost of capital, with its bonds maturing in December 2024 sporting a yield to maturity of 2.6 percent. In contrast, Crestwood Equity Partners’ bonds maturing in December 2020 yield about 7.3 percent to maturity. Meanwhile, Crestwood Equity Partners’ units still yield more than 13 percent after the recent distribution cut and still trade for barely half their book value—issuing equity isn’t an attractive option. Consolidated Edison, in contrast, benefits from a dividend reinvestment plan, and its stock trades at 1.64 times book value and yields less than 4 percent. With the energy sector still licking its wounds, other electric utilities will likely present the most competition on any future midstream deals that Consolidated Edison might pursue. Some of the industry’s leading players have demonstrated an appetite for pipelines and other midstream natural-gas assets. For example, NextEra Energy Partners LP (NYSE: NEP)–a yieldco created by NextEra Energy (NYSE: NEE)–acquired privately held NET Midstream, which owns seven gas pipelines in Texas and stands to benefit from growing exports to Mexico. Meanwhile, Dominion Resources’ (NYSE: D) acquisition of Questar Corp (NYSE: STR) will create another growth platform for Dominion Midstream Partners LP (NYSE: DM) outside of Appalachia. Future deals could come from Energy Transfer Equity LP’s (NYSE: ETE) proposed acquisition of Williams Companies (NYSE: WMB), a transaction that the buyer appears determined to sabotage after a controversial offering of preferred shares and a recent regulatory filing indicating that its lawyers may not provide an opinion needed to close the deal. For example, Williams Partners reportedly has started to market its 50 percent interest in the Gulfstream Pipeline, which serves NextEra Energy’s Florida Power & Light subsidiary, as a condition of Energy Transfer Equity’s pending acquisition or Williams Companies. Spectra Energy Partners LP (NYSE: SEP) has the right of first refusal on this asset, but the partnership could pass because its internal development projects likely offer superior economics. NextEra Energy would be a natural buyer of this 50 percent stake. Prior to Energy Transfer Equity’s takeover offer, Williams Companies had planned to acquire Williams Partners to shore up its balance sheet and free up cash flow by eliminating burdensome incentive distribution rights and effectively cutting the distribution. Given the risk to its credit rating and near-term spending needs, Williams Partners could consider cutting some of its utility customers in on its impressive list of pipeline projects serving the Marcellus Shale. Bottom Line: Utilities have a lot of bargaining power to take advantage of the energy sector’s turmoil and expand footprint in midstream infrastructure. 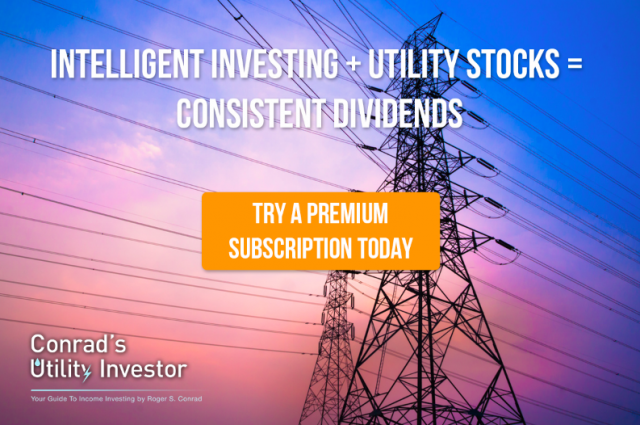 Subscribe to Conrad’s Utility Investor today for more analysis and my top picks.